We can't wait to see her little one! 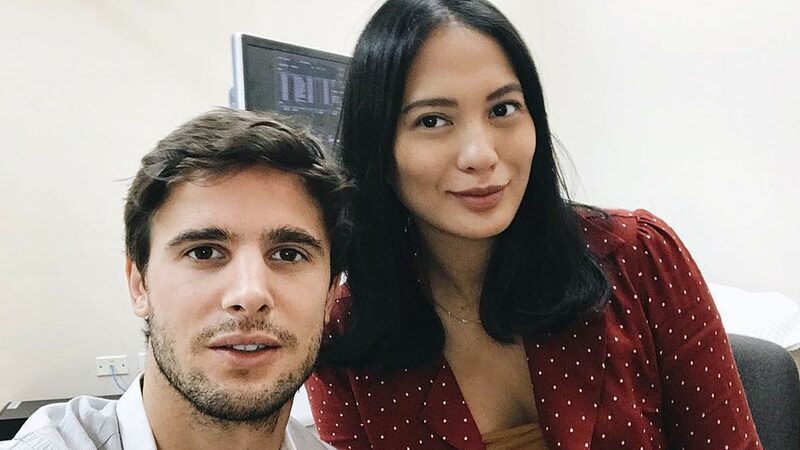 With her baby on the way, Isabelle Daza shared the first sonogram of her child with hubby Adrien Semblat. Belle posted it on Instagram Stories after her visit to the doctor. 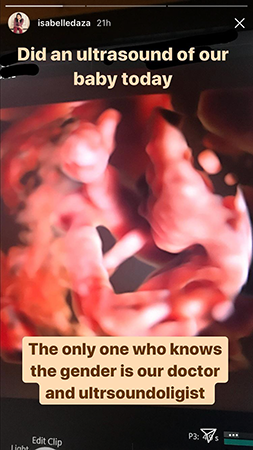 "Did an ultrasound of our baby today," she wrote. "The only one who knows the gender is our doctor and 'ultrasoundoligist.'" 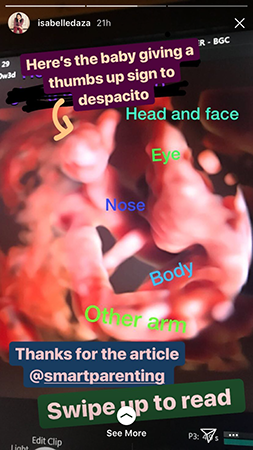 In another post, Belle made a joke about her viral dancing video during Anne Curtis and Erwan Heussaff's wedding by writing: "Here's the baby giving a thumbs up sign to 'Despacito.'" Belle announced her pregnancy in September and has since been enjoying her life as a mom-to-be. In her interview with Preview.ph, Belle expressed how she felt about being a first-time mom. "Scared of the responsibility! But at the same time, I'm so excited," she said.